Despite the name suggesting otherwise, Jerusalem Artichokes have nothing to do with Jerusalem and have very little in common with Globe Artichokes! What they certainly are however is one of the easiest vegetables I’ve ever grown. 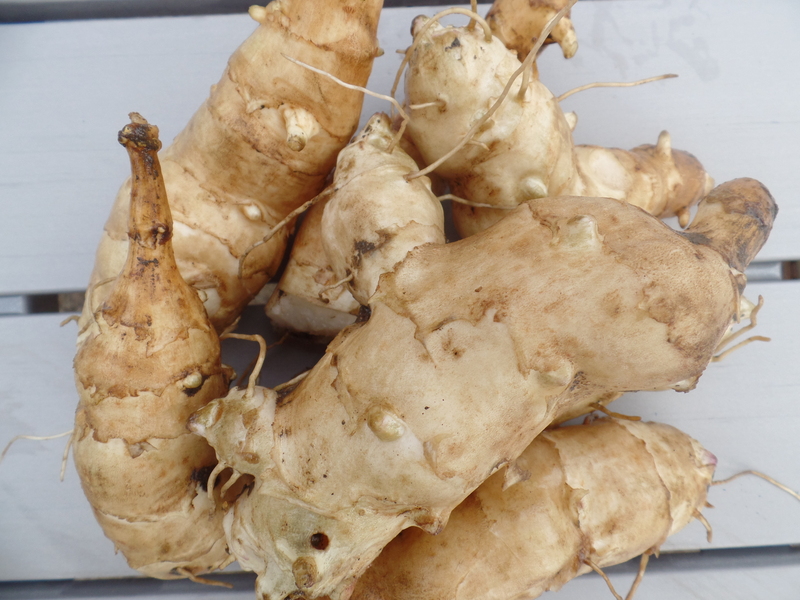 Jerusalem Artichokes (Helianthus Tuberosus) are knobbly irregular tubers which have a wonderfully earthy yet also sweet and slightly nutty flavour. Without exaggeration there are only two steps required to grow them; planting tubers in spring and harvesting delightful the tubers from Autumn onwards and throughout Winter. In early Spring, plant individual tubers around 15 cm deep and roughly 50 cm apart. 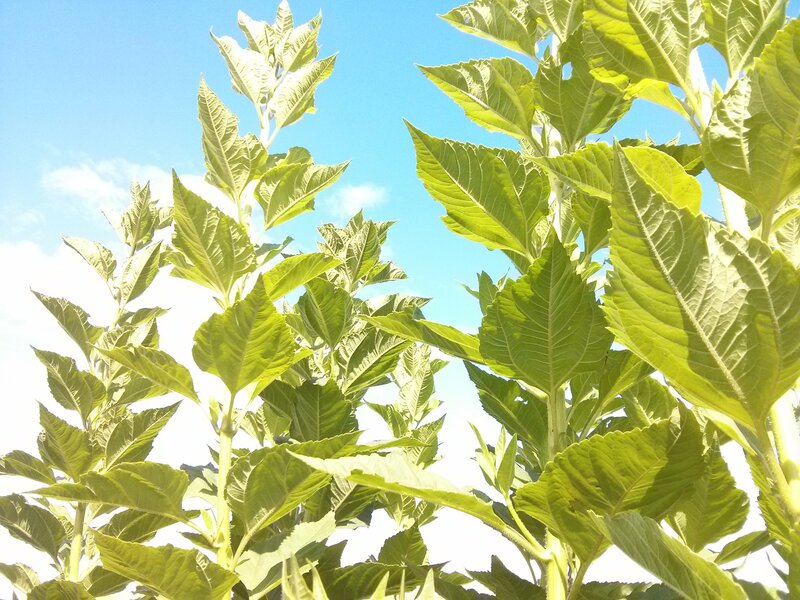 After a couple of weeks leafy stems will begin to appear and these will continue to grow to anything up to 3 m tall throughout the Summer. As members of the sunflower family, they will also form small sunflower heads which attract pollinators and make lovely cut-flowers! 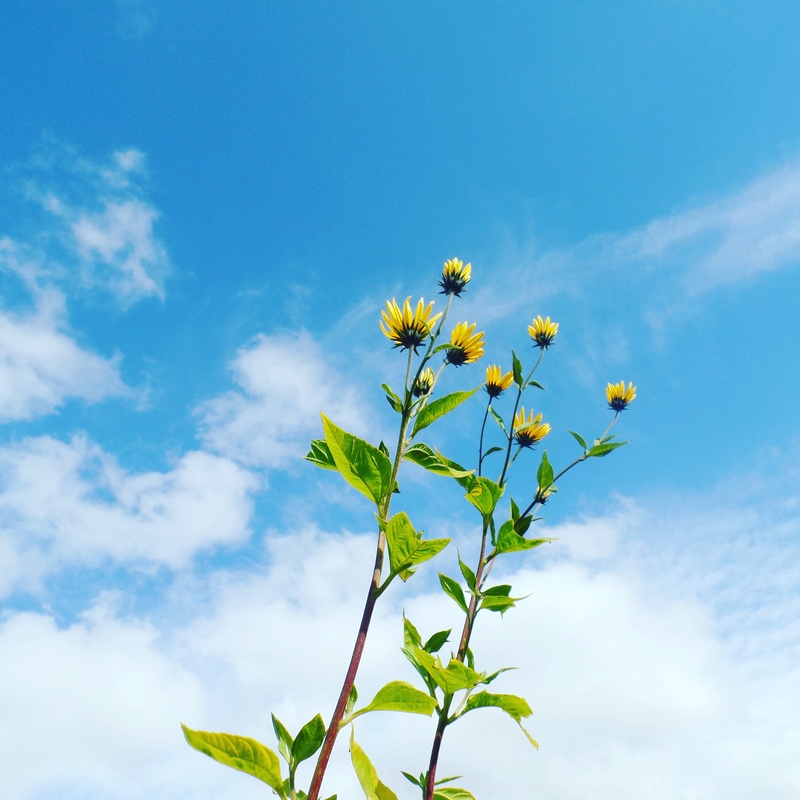 Jerusalem Artichokes Reaching for the Sky! The underground tubers can then be harvested once the temperature begins to drop and the foliage has died back in Autumn. Although, they don’t tend to store very well once harvested and so are best dug up as and when they are needed. Similar to parsnips, exposure to frost will prompt the conversion of starches into sugars and therefore the flavour will gradually improve over Winter. As replant perennials, any tubers left in the ground come Spring will grow and provide next years crop. They really are that simple! I’ve only ever grown the most commonly available ‘Fuseau’ variety which produces relatively smooth and therefore easier to peel tubers than most others. Significantly more knobbly and interesting red skinned varieties are also available but I’m led to believe that there isn’t much difference in overall taste and texture. Jerusalem Artichokes are high yielding and I’ve tended to get at least a couple of kilograms of tubers from each plant every year without fail. A forest of Jerusalem Artichokes on the allotment. Jerusalem Artichokes are a very versatile vegetable to cook with as they are absolutely great mashed, roasted, pan-fried, as a gratin, made into crisps, pickled and my personal favorite turned into a lovely creamy winter soup. The only caveat is that they contain inulin which is indigestible and as a result are known for producing an *ahem* fair amount of lower bowel gas in some people! Very interesting thanks! 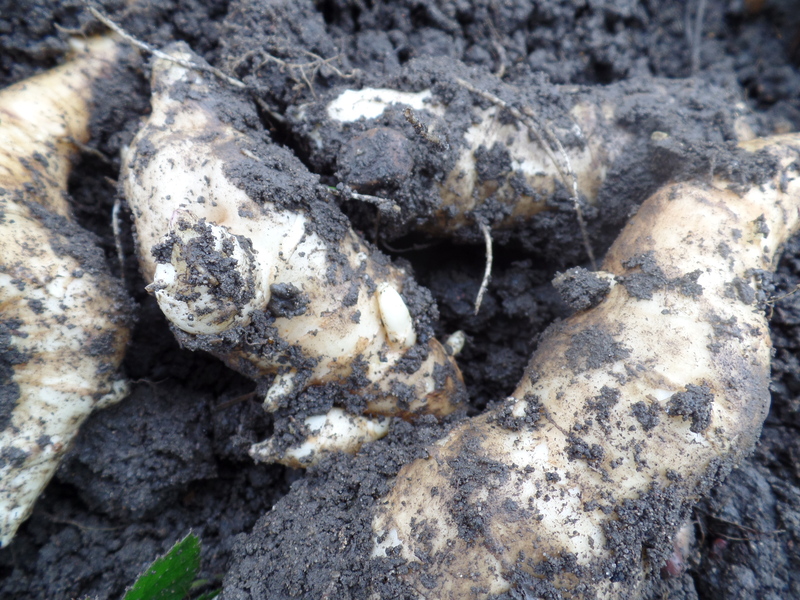 I grew Jerusalem artichokes this year, a variety called sugarball which I found at our local potato day but when I dug them up last weekend all the tubers had been hollowed out by slugs with masses of slug eggs surrounding them! Do you find any problem with slug damage or am I just unlucky?